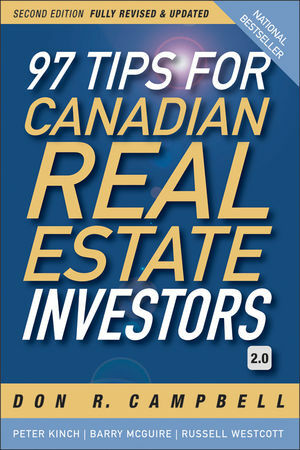 Don R. Campbell (Calgary, AB) is the author of the Canadian bestseller Real Estate Investing in Canada and president of the Real Estate Investment Network(REIN), with 1,400 members whose investment in Canadian residential real estate tops $3.1 billion. Peter Kinch (Vancouver, BC) is the principal of The Mortgage Team and PK Approved Mortgages with brokers in major cities across Canada. He is a member or REIN and speaks regularly on developments in the banking industry. Barry McGuire (Edmonton, AB) is an investor and lawyer who consults with clients on their real estate purchases. He develops and presents materials to the REIN group. Russell Westcott (Vancouver, BC) is vice president of REIN and a veteran real estate investor, researcher and educator.